The grandstand, football field and track were built in 1937. These photographs and text detail some of the obvious problems that are beyond economical repair, due to facility obsolescence and extensive deterioration. If adequate and safe physical education facilities are required to train Schoolcraft County's children for the demands of a competitive future, the track and field facilities are incapable of meeting those requirements. 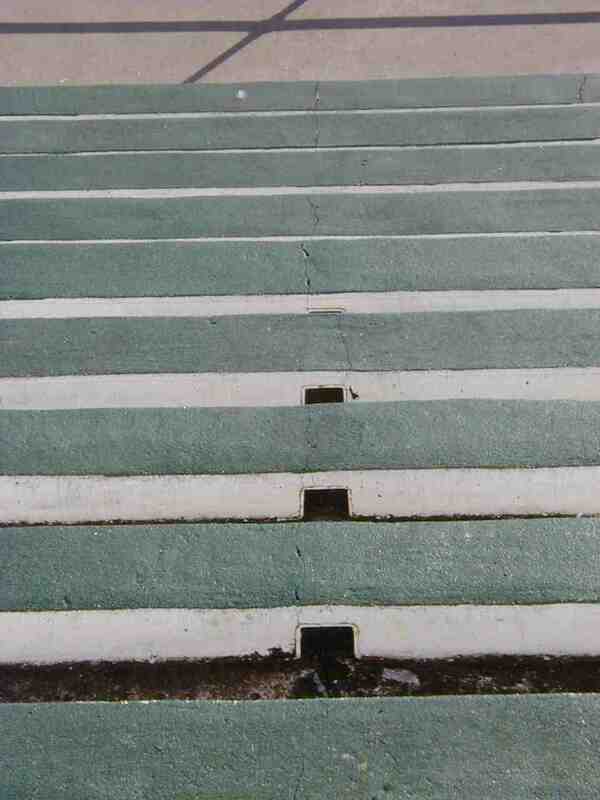 A wide view of the repaired overhead grandstand entrance reinforced concrete. 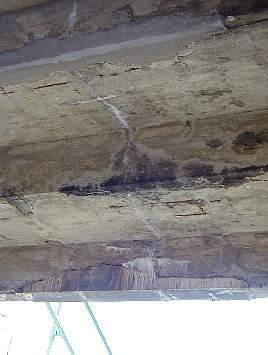 The "white" water stains indicate the location of a fracture and the lighter grey patches indicate where concrete has been split away from the main structure by ice, and possibly, rust scale, due to the water intrusion into the concrete and steel matrix. 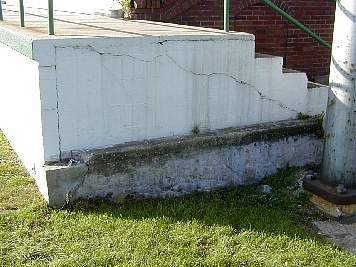 A closeup of one of the patched areas of fractured and broken concrete above the grandstand's main entrance. 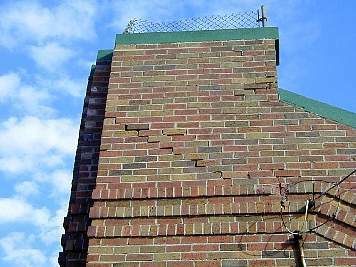 More extensive support masonry fractures due to settling foundation and weather extremes, over some 63 years... Nothing lasts forever, and given the overall deterioration of the grandstand structure, it is more economical to replace it than attempt a compromised renovation of a basic structure that cannot be "repaired" to the original structural standards. Its "worn out" by the consequences of time, weather and, least of all, use. The brickwork of the south end of the grandstand shows severe water and ice damage. 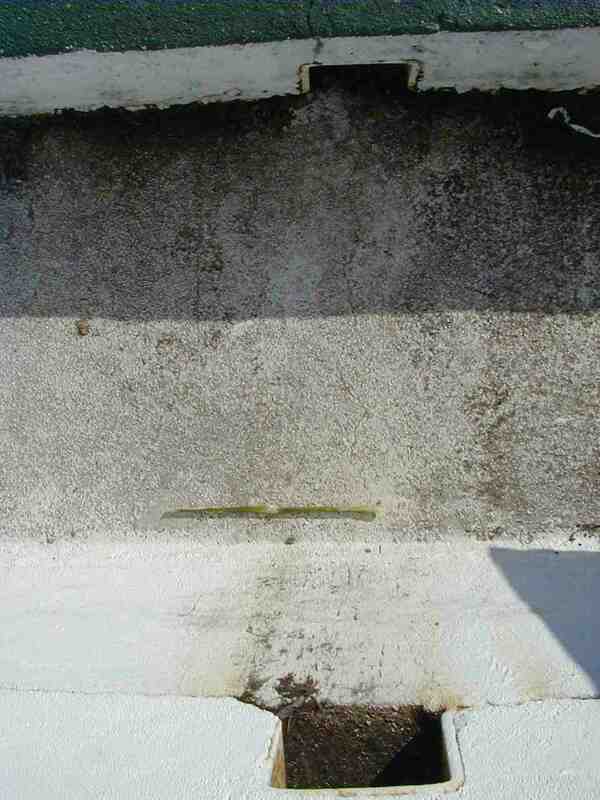 It can be repaired, at significant cost, but the extensive concrete deterioration, elsewhere, cannot, short of demolition and replacement. 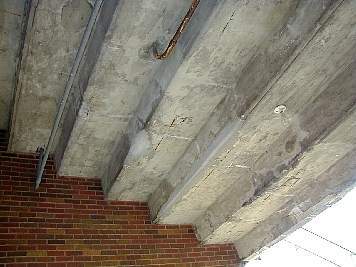 Extensive fractures, through the reinforced concrete, some running the full width of the grandstand, allow moisture to penetrate the concrete. That water is wicked along the corroding reinforcing steel and through the numerous fractures to create further corrosion and freeze fracturing that compromises the overall strength of the	grandstand. 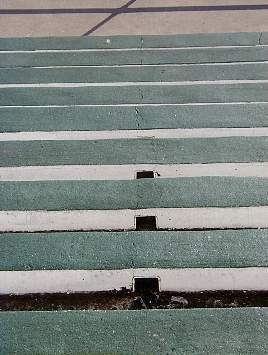 A closeup of one of many tiny fractures that result in corrosion and ice fracture damage throughout much of the grandstand structure.